Introducing ACE XP Polymer Fiber; the latest technology in pavement design for the extension of pavement life. To create ACE XP Polymer Fiber, Surface Tech blended aramid fibers and Sasobit wax to address the 2 major distresses affecting asphalt performance today; cracking and rutting. Doing so also dramatically improved the treated roads’ life expectancy. When ACE XP Polymer Fiber is mixed into asphalt, it disperses over 19 million Aramid fibers throughout each ton of mix to provide 3-dimensional reinforcement that increases the asphalt’s resistance to reflective cracking, rutting, fatigue and increased life expectancy. Best of all, no specialty contractors are needed for installation. Contractors handle ACE XP Polymer Fiber the same way they handle standard asphalt. 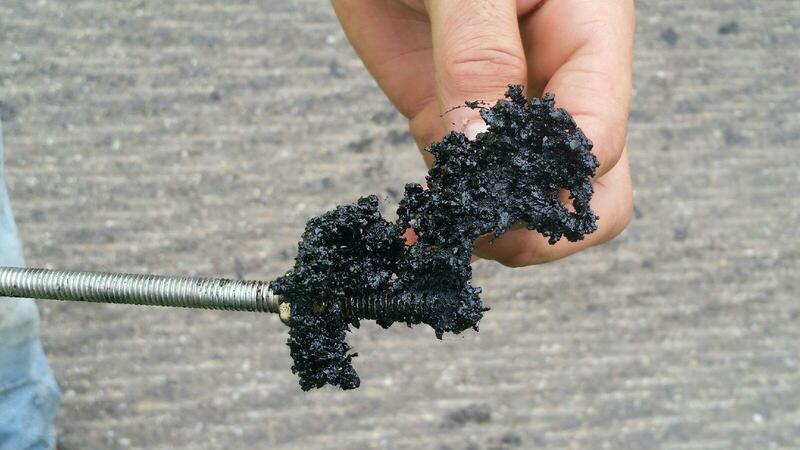 Aramid is a unique fiber with 400,000 psi tensile strength and micro-roots that tenaciously anchor themselves in the bitumen of the asphalt. In the summertime when asphalt gets hot and wants to rut, the rooted aramid provides resistance to the “flow” of asphalt to mitigate rutting. In the wintertime when asphalt is cold and wants to shrink, aramid provides added tensile strength for resistance to cracking. Fibers in asphalt now make sense because of aramid, and for relatively low cost, ACE Fiber™ makes a big performance improvement in asphalt. Layfield is the exclusive distributor of ACE XP Polymer Fiber technology in Oregon, Washington and Southern California.